We’re so close to Red Dead Redemption 2 now that you can almost smell the scent of smoking six-shooters in the air, but it’s also so near that we’re wondering whether Rockstar can live up to outrageous expectations. With its previous games, the company’s consistently raised the bar for sandbox stories, and we’re curious whether the impending Western can do the same. 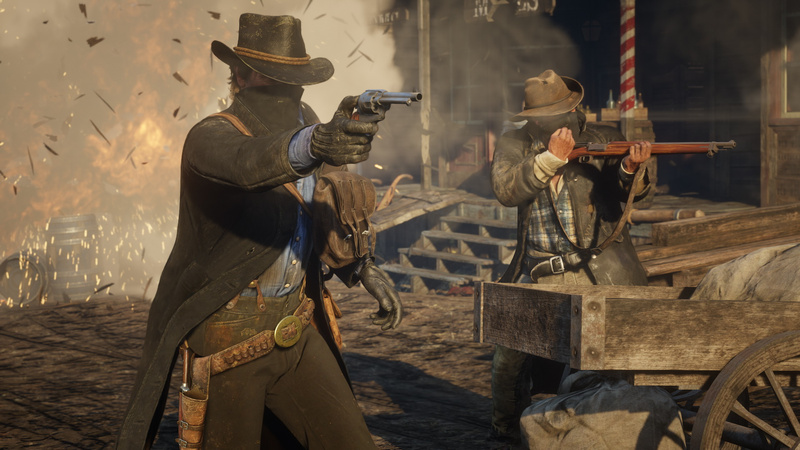 Take-Two, the publishing overlord at the very top of the Rockstar pyramid, is feeling pretty bullish about things, telling investors that the game marks “another creative milestone” for the company and will “redefine our industry”. Bold words. CEO Strauss Zelnick failed to elaborate on exactly how the title will achieve that, but we’ve got to be due new information any day now. Posters are going up around the world, and even care packages are being sent to press, so the label must be getting ready for a blowout. Right? Right?! Posting news at 6am? Now that's dedication. I keep forgetting this is coming out. Will be interesting to see what they have to show. Really hope so, I will be really satisfied with a great single-player campaign, including the narrative. 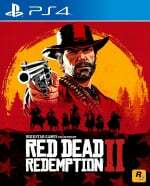 I am distracted by Deadcells and Spiderman' s releases so I am not pining for RDR2 too much, game does sound great though. Surely we will see some new gameplay footage soon? @Flaming_Kaiser As much as I am loathe to admit it, I think you are right. The fact is that anything that constitutes a drop in revenue after GTA:O would be considered unacceptable purely from a business standpoint. I just hope they don't completely shortchange the single player experience. I'm looking forward to the online portion of RDR2 just as much as the single player campaign. I have faith that both will be typical Rockstar excellence. I hope the single player is good, gta v single play is just okay for me, I don't like playing as 3 people. @LieutenantFatman Sammy was posting at about 4 in the morning earlier in the week. I swear he never sleeps! Strangely enough I'm not very excited for RDR2 yet. I know I'm going to buy it at launch, but somehow it just seems like a thing that I know is coming. Maybe I'll feel different once I get Kiwami 2, DQXI and Spider-Man out of the system. I'll definitely get this, but I'll be picking it up during next summer's lull. I don't fancy starting something this massive when Pillars of Eternity II, Original Sin II, and Spider-Man are all on their way. By the time I'm finished with them Resident Evil 2, Anthem, and Days Gone will all have landed. I just can't get excited for RDR2 at all, looks nice and all but it just does nothing for me right now which is strange for a Rockstar game I was even looking forward to Table Tennis more than this!! My girlfriend is more excited for this than I....but I am currently getting my Western fix by currently playing through the Undead expansion for the last one. What's all this crazy talk about not being excited? I for one can't wait for this, regardless of whether or not it redefines the industry. Whatever that means. @ApostateMage same here. I managed to rally 6 blokes at work to buy playstation consoles (the ps4) and we are forming a gang for all those online sessions. Can't wait. @Mergatro1d The cynic in me says that it means that they have concocted new and innovative ways to get money out of their customers and not much else. @LaNooch1978 well I think that with current industry practices you're right to be cynical, but this is Rockstar and I have high hopes that their creative innovations will extend to more than animated horse testes and additional revenue streams. I just hope I'm not being naive. @RedMan33 I'm excited but not as much as might be expected. I think it's because we haven't seen any gameplay at all so far, so we don't even know what it looks like in action. I'll be buying, I just know it. Will it redefine the industry? I doubt it, other than possibly doing what GTA V did and being in top sellers lists for ever more. @Mergatro1d I hope you are right. As I've said before Red Dead 2 is my most anticipated game ever. Keeping my expectations in check is really difficult;I'm pretty confident it will be amazing but I don't touch online games any more so whether or not there will be enough single player content for it to displace Red Dead Redemption as my favourite of all time remains to be seen. @Neolit Ha! That's ace. I wish I could do the same with most of my mates but unless it's FIFA, CoD or Fortnite, they don't wanna know. Bloody casuals! @ApostateMage I started working and influencing them last September. It took a lot of carefully designed talk about classic westerns and Westworld and guiding them to the end-goal. Those who are gamers but do not care for westerns I discarded immediately. There's no helping them. What I don’t understand is why people are insisting on seeing some gameplay footage? Do they not have faith in Rockstar anymore to produce amazing games? The fact they have not released a new game since 2013 in GTA V shows they are putting every effort into RDR2 to make it the best they intend it to be and absolutely polished to perfection. I can understand those who are sceptical with the online part of the game and I believe it will be like GTA Online in which it will be constantly supported and updated by Rockstar but have no DLC for the single player campaign, despite this I have no doubt whatsoever that they will still make the game world as amazing as we’d expect with a great story to follow. As long as they do an excellent job of the single player, then I'll be eager for this. I've got high hopes for it, as it is Rockstar we're talking about. @RedMan33 Great story with one of my all time favourite protagonists. I think the shooting mechanics are a bit cack, though, so I hope they've been improved substantially for the sequel. I agree it probably was helped by the Rockstar brand and the fact that there really aren't any other open world westerns to speak of. Grand Theft Auto IV blew me away back in the day, still my fav Gta to date. V not at all, technically impressive sure, but a lackluster single player and a crappy online cash grab if you ask me. As long as RDR 2's single player is good, I'm happy. @Amusei I would love to play a remastered version of 4. When I last had a look at it, it had aged horribly. It could do with a better checkpointing system too, coz I remember having to repeat whole missions right from the start (including unskippable cutscenes if I remember right). I'm not expecting anything new or groundbreaking... hoping to be proved wrong, we need fresh things. Anyway, with a solid "classic" gameplay and story, I'm sold. @JoeBlogs It's been a long while since I last played it, so I don't remember all that well. I'd like a remaster as well, I love it's gritty NY atmosphere and the more serious approach to the story. The online mode, I actually made it to rank 10 (which took ages) but I had so much fun with it. Very excited but not because of his arrogant words. Sounds like an EA, Activi$ion or any other suit. Pre ordered, hype is very real!! I've just moved house and hoping when the broadband is connected tomorrow it has enough juice for me to play the first one on psnow. Lol marketing hype and exaggeration! I'll take him at his word and say sure, maybe RDR2 will redefine the industry... right up until Cyberpunk 2077 shows up. If he's strictly speaking about narrative, they've got some stiff competition to live up to that kind of hype. Ghost of Tsushima and Last of Us 2 both look poised to deliver some extremely high quality storytelling.